Canada won its final volleyball match of the weekend in FIVB World League action in the Czech Republic against the host nation, moving to 3-0. 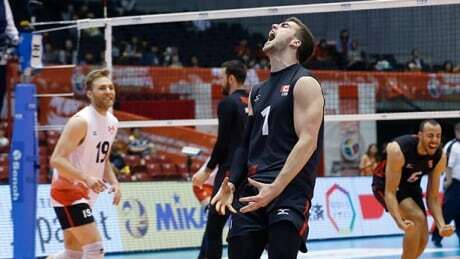 Canada picked up from where they left off on the court in the Czech Republic on Saturday , dispatching Egypt in straight sets, a day after doing just the same against China. Fresh off qualifying for its first Olympic Games in 24 years, Canada's men's volleyball team begins its FIVB World League action at 1 p.m. ET against China, the team Canada knocked out of the last-chance Olympic qualifying tournament in Tokyo earlier this month. 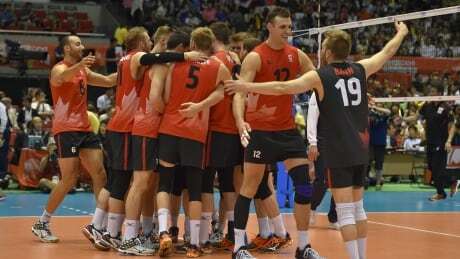 Canada's men's volleyball team will face top-ranked Brazil in pool play in its return to Olympic competition in Rio. 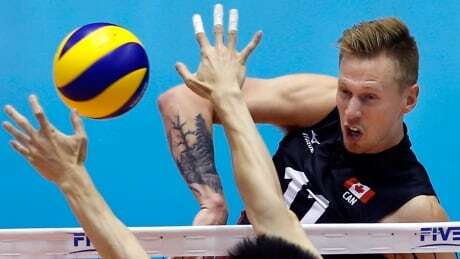 The Canadian men's volleyball team have ended their 24-year Olympic drought, beating China in five sets and getting a little help from Poland at the World Olympic Qualifying tournament in Tokyo on Sunday, securing their place in Rio. 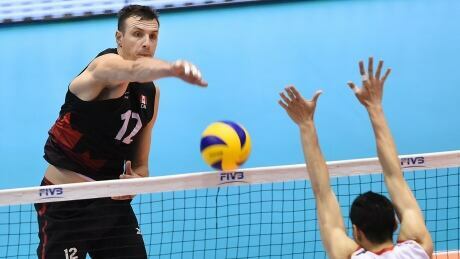 The Canadian men's volleyball team have put themselves in a good position to end their 24-year Olympic drought, beating host Japan at the World Olympic Qualifying tournament in Tokyo on Saturday. 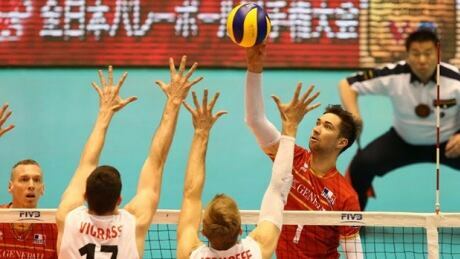 Canada’s men’s volleyball team is two wins away from its first Olympic berth since the 1992 Barcelona Games. Games scheduled just 15 hours apart this weekend against China and Japan will decide the team's fate. 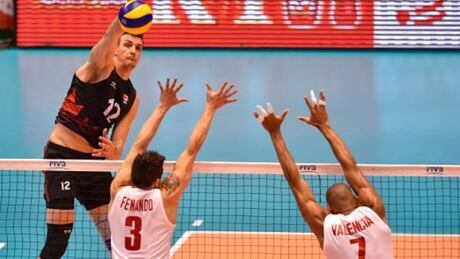 Canada was no match for the French volleyball squad on Thursday, as a determined French team defeated the Canadians 3-0 at a last-chance men's volleyball Olympic qualifying tournament Wednesday. 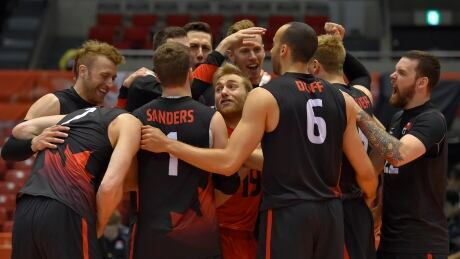 Canada improved to 2-2 at a last-chance men's volleyball Olympic qualifying tournament Wednesday with a 3-0 win over Venezuela. Canada, ranked fifth in the standings, faces France on Thursday. 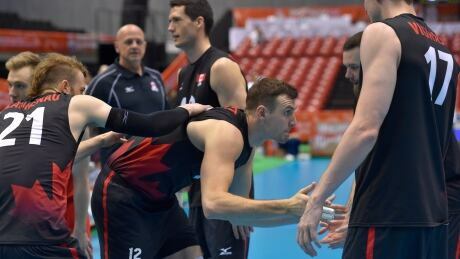 Despite two losses to kickstart their last chance at qualifying for the 2016 Olympics, there’s no panic creeping into Canada’s men’s volleyball team. You are currently browsing the archives for the Sports/Olympics/D3 Rio 2016/Volleyball category.